My Life Without A Jetpack - Blog - Launching On 9/12! Greetings! Starting Friday 12/9, "My Life Without A Jetpack" will be updated weekly. 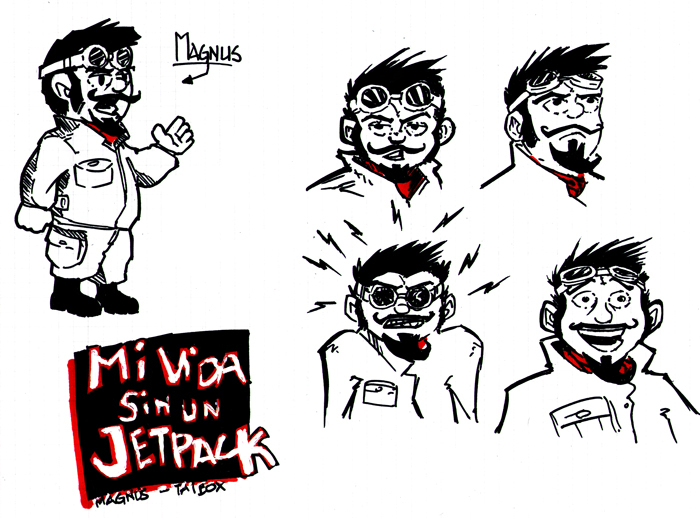 It's a an autobiographical about my life (I'm MaGnUs, BTW), with art by Taibox. Mostly, it'll be funny (or it'll try), but not necessarily ha-ha funny. There'll even be some pretty pathetic moments where you'll laugh at me. And to make sure it reaches the largest amount of people possible, it'll be published both in English (here) and Spanish (at the other site, "Mi Vida Sin Un Jetpack").